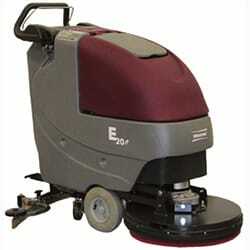 The E Series machines from Minuteman’s new and innovative walk-behind scrubber series. With advanced technology and new green clean features, these floor scrubbers have been engineered to change the way you clean floors. It’s scrubbing, reinvented. 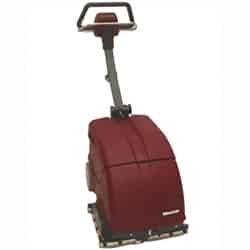 Minuteman floor scrubbers deliver professional results at prices you can afford. 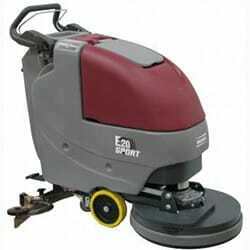 Learn more about some of our most popular commercial floor scrubbers for sale below! 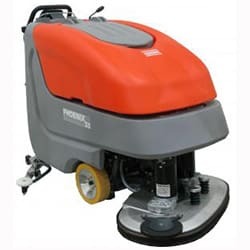 This commercial floor scrubber is a versatile and compact cleaning machine that works on any type of hard floor, including escalators, vinyl, rubber floors, tile, marble, hardwood, granite, concrete, studded rubber, short-nap carpeting, slate, brick, quarry tile and more. 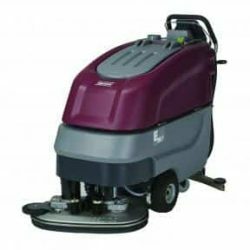 Extremely maneuverable and operator-friendly, this floor scrubber is ideal for congested areas. 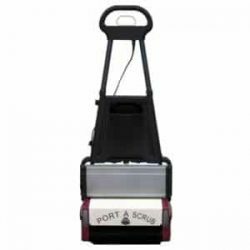 Featuring dual articulated squeegees, the Port a Scrub 14 is perfect for cleaning in both close quarters and open areas. Convenient features include four height settings for brush height and wear, three optional brush choices for different surfaces and a one gallon clean water tank on the handle for quick removal and easy filling. 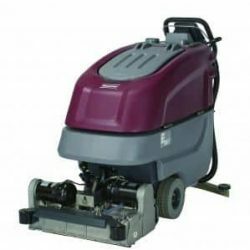 This small commercial floor scrubber features a compact design with a 17-inch cleaning path and is available in traction or brush drive. 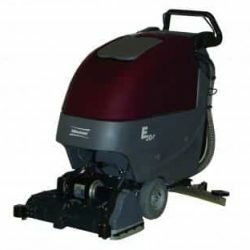 This machine is part of the innovative E Series of Minuteman floor scrubbers, featuring advanced technology that helps you clean more efficiently than ever before. 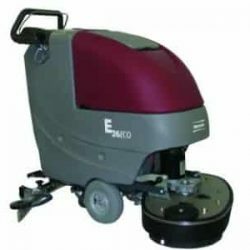 Ideal for both daily scrubbing and for removing floor finish, the E20 features a 13-gallon recovery tank and 12-gallon solution tank. 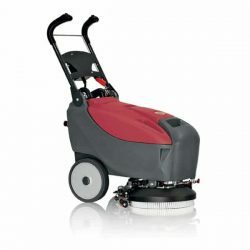 Easy brush loading and unloading is a hallmark of this floor scrubber, and the squeegees require no operator adjustment. The E20 also features an easy-to-clean, hygienic recovery tank and superior handling thanks to adjustable hand bails and handle. 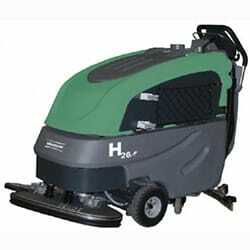 The H20 is a compact disc brush floor scrubber designed specifically for healthcare facilities and hospitals. 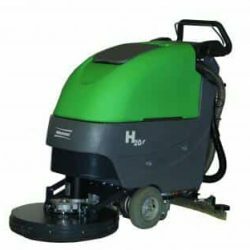 Featuring a 20-inch cleaning path, the H2O is an extremely quiet cleaning machine, and its compact size makes it ideal for cleaning around tight corners and small spaces. 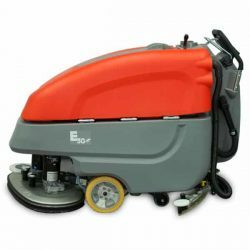 A disc brush scrubber, the E26 ECO is a cost-effective solution to all your large scrubbing needs. 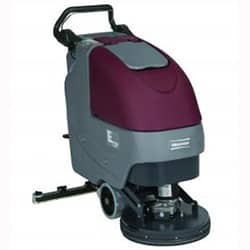 The floor scrubber can clean 26,000 square feet per hour with its 26-inch cleaning path, and the large tank opening makes filling fast and easy. The E26 ECO also features a low brush deck that is perfect for cleaning underneath and around obstacles. 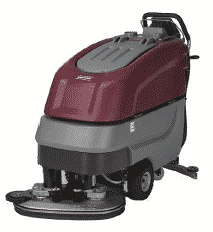 Key features of this cylindrical brush floor scrubber include a 24-inch cleaning path, traction drive, integrated sweeping function, corrosion-resistant casting, adjustment-free squeegees, 19-gallon solution tanks, hygienic 19.5-gallon recovery tank and adjustable speed regulation. 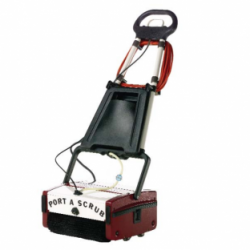 This mid-sized floor scrubber is ideal for healthcare facilities and hospitals. 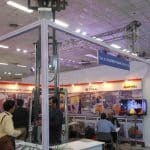 Its silence mode reduces sound pressure from 70 to 66 decibels, enabling operators to clean during the day without disrupting normal operations. The recovery tank is easy to clean and hygienic, and its compact design makes cleaning in tight areas easy. This traction driven cylindrical brush floor scrubber features a 28-inch cleaning path and can clean 28,000 square feet per hour. Additional features include an offset brush deck for cleaning near walls, a standard parabolic squeegee, 23-gallon solution and recovery tanks and ergonomic speed regulation.